Meribel was originally founded by Peter Lindsay in 1938, with the mandate that it must maintain a traditional chalet style. In the years since, it has stuck to that firmly, creating a pretty centre surrounded by wood and stone buildings. This is arguably the best looking of all the purpose built ski resorts in Europe, and one the most popular ski resorts in France. 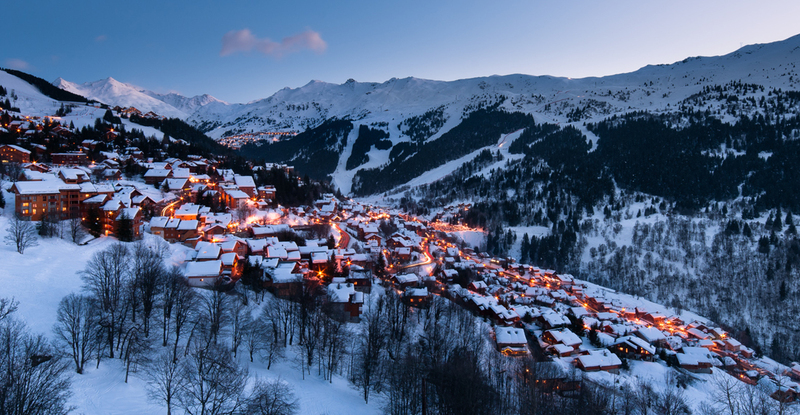 Meribel is made up of several different villages, with Mottaret at the top of the resort, and Les Allues the lowest. As the highest part of Meribel, Mottaret has the most ski in, ski out properties, while both Meribel Village and Les Allues offer quaint Alpine charm and peaceful settings within easy reach of the bars, restaurants and shops in the centre of the resort. The constant updates and innovation in the lift infrastructure, means that every part of the town has fast access to the slopes. A bus service runs between the centre of Meribel and the surrounding areas, making the resort simple and easy to get around after the lifts have shut. The central resort of the Three Valleys, Meribel is not only the best connected of all the resorts in the Trois Vallees ski area, but also the most family friendly area. The immediate slopes are largely blue and red runs, with good progression up from the beginners area to more challenging skiing. 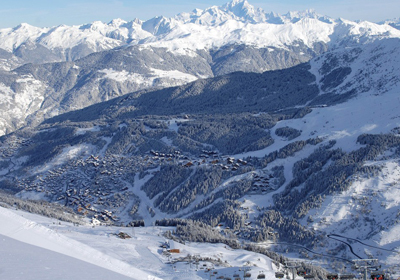 As with all the Three Valleys ski resorts, Meribel is superb choice for skiers of any ability level. 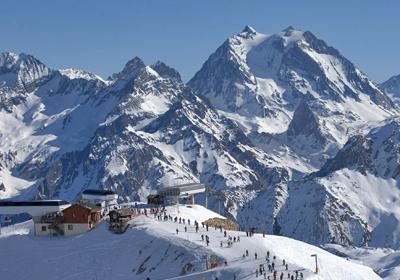 On either side, Courchevel and Val Thorens offer more skiing, with the fearsome Courchevel couloirs and the legendary Glacier black run in Val Thorens popular amongst experts, while the range of blue and red runs give intermediate and advanced skiers plenty of ground to cover. There are two terrain parks in the Meribel ski area, with more terrain parks and a boarder cross over in Val Thorens; the large number of different parks mean there is always plenty for teenagers and kids to enjoy. Specialty areas include a handiski area and a night skiing route. Most of the properties for sale in Meribel are new build projects, many of which are close to the centre of town or the lifts. As one of France's most beloved ski resorts, property here is high quality and has a higher price tag than elsewhere in the Trois Vallees. Many of the best properties for sale in the resort are apartments, which have the added attraction of being easy to manage lock and leave properties. 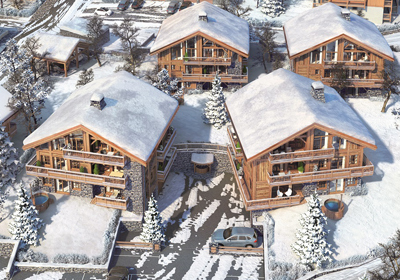 The range of new build properties includes a number of apartments only steps away from the ski pistes and lifts.